Though they may be rich, influential, and glamorous, these famous Mormons have the same troubles we all face when it comes to love. Awkward dating moments, insecurity, and embarrassing failures all mingle with the sweet to make these real-life romances something far more than what you’d find in a fairytale. No real-life love story ends with “I do” followed by a happily-ever-after. Most have bruises and heartaches along the road. Such is the case with Marie Osmond and her husband twice over, former professional basketball player Steve Craig. But, things don’t always work out according to plan. The couple was married on June 26, 1982, then again on May 4, 2011. In between those two dates, both Marie and Steve faced a number of heartbreaks—some that pulled the two apart, and others that eventually reunited them again. To read about the other love stories on LDSLiving, click here. 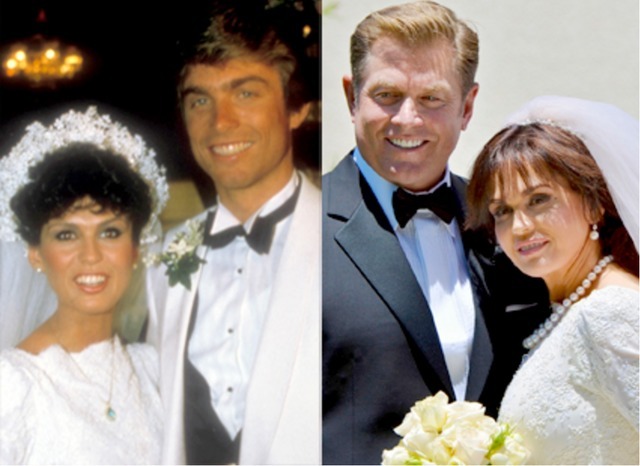 Marie Osmond couldn't have been married in the Las Vegas LDS temple in 1982 because it didn't open until November 1989. She was married to Steve Craig in 1982 in the Salt Lake City LDS temple..